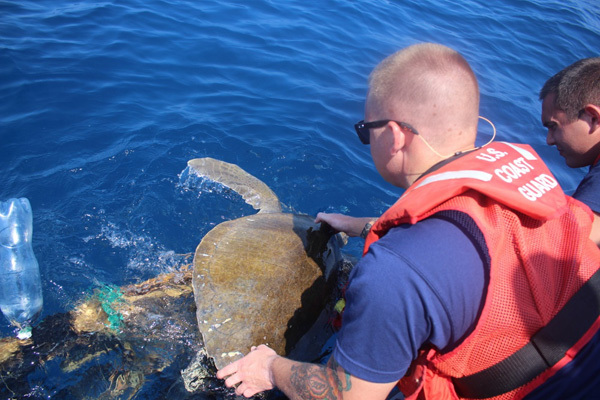 A U.S. Coast Guard crew rescued four endangered sea turtles that had become entangled in garbage in the Pacific Ocean. 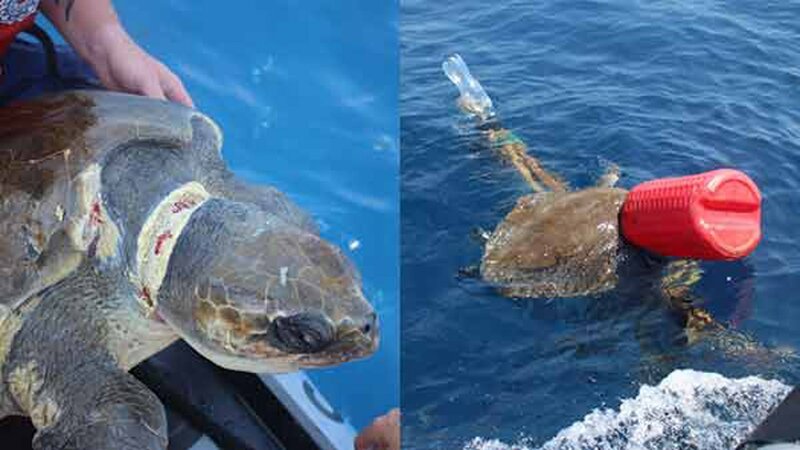 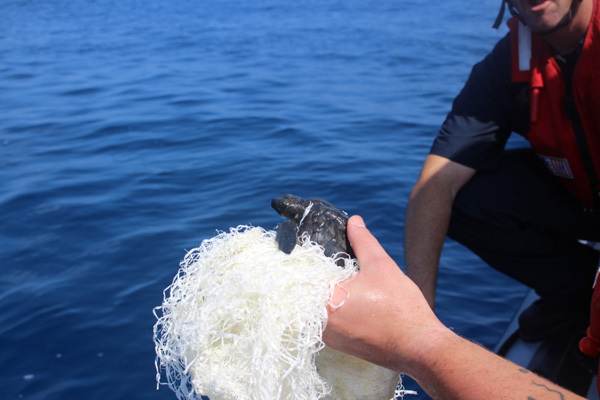 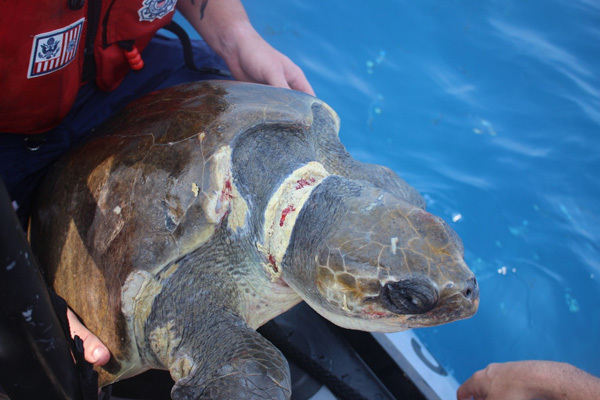 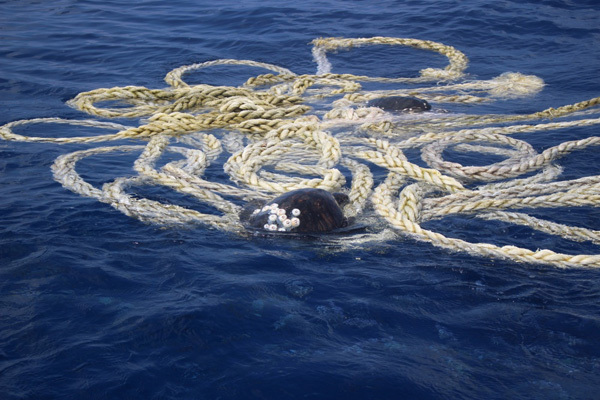 After noticing an unusual floating object that turned out to be a mass of lines, fishing gear and garbage, crewmembers on the Coast Guard Cutter Valiant freed one baby and three adult olive ridley sea turtles from the debris last month. 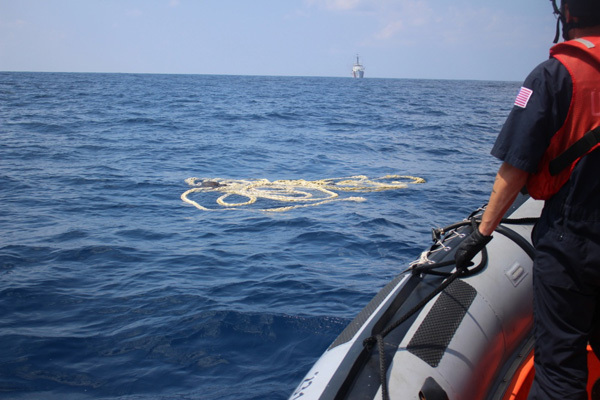 While underway, the Coast Guard said crewmembers rotate on a 24/7 watch routine and are always on the lookout for potentially hazardous debris and endangered sea life, in addition to watching for suspicious vessels and signs of distress. 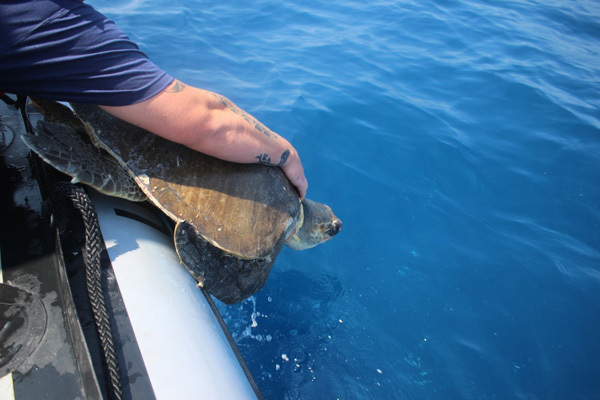 "One day you're chasing drug traffickers, and the next day you get to save the life of a beautiful animal in the middle of the Pacific Ocean," Petty Officer 3rd Class Dillon Whitaker said. 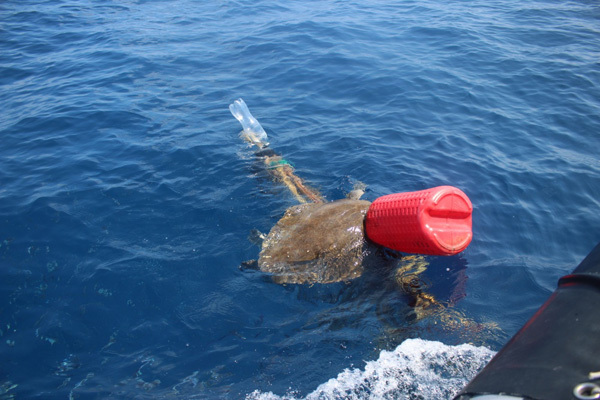 After freeing the turtles, the crew removed the garbage from the water for proper disposal and resumed their patrol.